Looking for a personal devotional you can use for Christmas? I offer this one for FREE… no limits, no lines, and no waiting for a package to arrive! 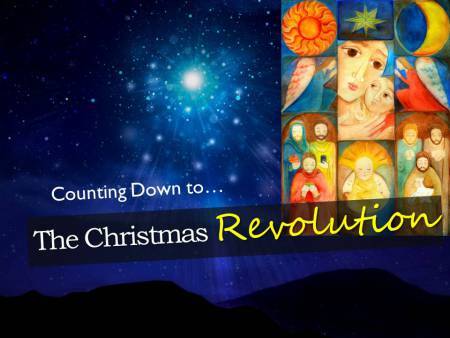 In 2012 following a year of great personal turmoil, I was led to write a devotional reflecting on the revolutionary nature of Christmas… one each day from December 1-25. I pray your reading of these brief reminders of The Christmas Revolution will bring you as much encouragement as the writing of them brought me. What do a Czech duke from the 10th century, the first Christian martyr, a British public holiday, and a crazy rush to return unwanted gifts to the store… have in common? They all happen on the day after Christmas! Known for his unusual charitable lifestyle as a wealthy man, “Good King” Wenceslas went outside on an unbearably cold day to bless a poor man on December 26… at least that’s what the Christmas carol reports! Stephen was the first Christ-follower to lose his life for preaching the gospel of salvation. Celebrated in many countries and church traditions with a variety of customs, the feast of St. Stephen falls on December 26. Boxing Day in the United Kingdom is a public holiday with roots in the 17th century. Servants and tradesmen required to work on Christmas for nobility were given the day off on December 26, often with a “Christmas box” of cash and small gifts. And then December 26 is that day when America heads to the stores (or the Post Office) to return or exchange gifts… unwanted or duplicated Christmas gifts! With thousands headed out to stand in long lines, the retail success of the day hinges on how early the store opens and how deeply the after-Christmas sales slash prices. Four streams of tradition flowing on one day, together drawing attention to the capacity of the human heart to give and to receive… to sacrifice or to be self-absorbed. What makes the difference? Or better, WHO makes the difference? That man or woman who hears about Jesus, then meets Jesus, and then follows Jesus by faith… that one has a different heart… a heart that beats in union with His heart. December 26 is no ordinary day… but it should be. There’s nothing wrong with returning a gift. But as you make contact with others today, thank God you have a gift to return… and gifts still to give. The gift of a smile. The gift of a kind word. The gift of a patient manner. The gift of encouragement to a harried worker, who has to serve you today. It may be the day after Christmas, but His birth was not the end of His mission. It was just the beginning. He not only came to inhabit our world. He came to inhabit you. They were just doing their job. Ordinary men… extremely ordinary. The shepherds of the Christmas story were among the poorest in society: you will never read about a wealthy shepherd. And of all the people on the planet, God sent an army of angels to inform them that His Son was being born in Bethlehem in real time. The news was for every person on the planet (“all people“), and when properly understood, the news causes “great joy.” What were they told? The birth was in the city of David (Bethlehem). It was the birth of a Savior. The Savior is identified as the Christ (the anointed One or the Messiah). The Savior is the Lord. The Savior will be found as a newborn in a feeding trough. God is not at war with you. However, your experience of God’s peace is not automatic. It is conditional… dependent on your readiness to lay down your defenses and cease hostilities on your part. You don’t need to fight your way through life. You don’t need to live as if everything depended on you. You don’t need to hide. You can stop running. The first ones to learn about the Savior born in Bethlehem were not the rich and powerful, the mighty and influential, the successful and famous… the first ones granted access to the Savior were the ordinary ones! He has good news for you, if, like me, you feel pretty ordinary. The Savior has been born… for us! It’s the Christmas Revolution! They fell down and worshiped Him… stunning. These travelers arrived as much as two years after the birth of Jesus. The young family was living in a house in Bethlehem, not overnighting in a stable. The shepherds had long since come and gone. Jesus was walking by now. The text does not tell us the wise men were kings, nor that there were three of them. They are the Magi… scientists and religious scholars who combined astronomical observation with astrological speculation. It is likely that they knew some Jews where they came from… and they would have been equally aware of the Jewish hopes for a Messiah. They traveled a great distance, led by a star that had the capacity to be movable, and then motionless. These men who had spent most of their lives peering at the night sky recognized something special about the star and attached great significance to it. I have so many questions for these guys. where did you go after you saw the baby? what did you do for the remainder of your lives? why did you fall down and worship…a toddler? The word worship used here finds it’s root in the Greek word proskuneo. Pros means “towards” and kuneo means “to kiss.” It means to lie prostrate, literally leading with the lips towards the object of honor. These men fell down and did that… before a toddler. Somehow these men put it together: this was no ordinary baby. Yes, they gave the gifts of gold, frankincense, and myrrh. But long before they gave their gifts, these dear men gave themselves. Models for you and me, the wise men show us the way to the Christmas Revolution! His birthplace was foretold. Nearly 750 years before Jesus was born, Micah the prophet recorded God’s words to a little, insignificant village in Judah: Bethlehem. When the wise men asked where the Messiah would be born, Herod’s scholars immediately turned to Micah’s text (Matthew 2:4-5). Later as He walked among the people of Israel, when people debated whether Jesus was the Messiah, they referred again to the prophet’s words concerning Bethlehem (John 7:41-42). But the prophet also spoke of the Messiah’s mission. He would be a “Ruler” of God’s people, His activities (“goings forth”) flowing from a timeless past (“from of old, from everlasting“)… Micah was describing no ordinary man! And He would be no ordinary ruler, either. There is no question that the kingdom of God is coming and will be fully expressed at His Second Coming (1 Corinthians 15:24-28). But what about now? requires a new birth (an internal, spiritual renewal from God) in order to enter it (John 3:3, 5). Jesus demonstrated the kingdom — or the active rule of God — by casting out demons, healing the sick, and quieting killer storms (Matthew 12:28). But He did not come to simply rule over nature. Nor did the “Ruler” prophesied by Micah strive to exert raw power, forcing all humanity into submission. No, Jesus came to rule your heart… a place you voluntarily yield to Him. Hark the glad sound, the Saviour comes, the Saviour promised, long; let every heart prepare a throne, and every voice a song. Doddridge writes, “Let every heart prepare a throne.” In the ancient world, the symbol of an empty throne was found among many different religions. From Zeus to Buddha, the vacant seat of authority was a way of describing a power greater than self. In the ancient mosaics of the early and medieval church, the hetoimasia, or “prepared throne,” was a way of depicting the place where Jesus was to come and rule. In your heart, are you sitting on the throne? Or have you stepped aside and prepared the throne of your heart for the “Ruler” born in Bethlehem? 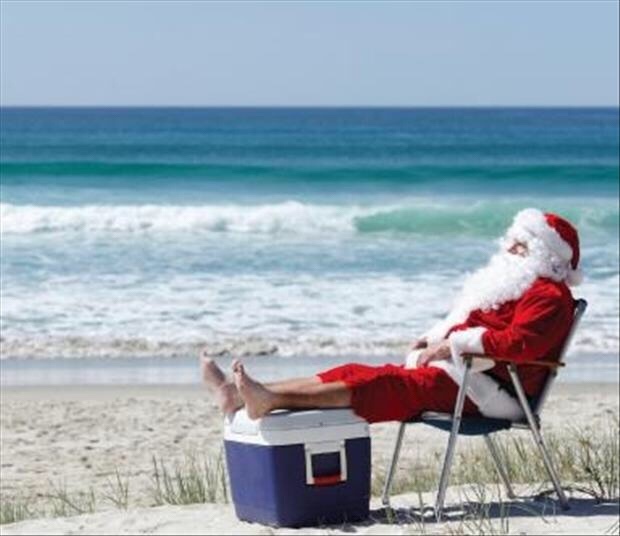 It’s His rightful place… and your way to a very personal and powerful Christmas Revolution! I was born with the name Donovan Donnelly. Following my parents’ divorce, my mother did her best to raise me as a single parent in the 1960’s. I recall with fondness Mom’s bedtime stories, the rich aroma of my grandfather (he liked cigars), my day care center friends, and long, endless summers… I think I was a happy child. But then things got serious: I started the first grade. As you can see from the image of my “Social Characteristics” (X = Needs to Improve), I was easily distracted, impulsive, and quite talkative! I was surrounded by supportive influences. My mother and my grandfather were gentle, nurturing fixtures in my little world. Living in a mobile home park on the outskirts of San Antonio, Texas, I spent most of my time outside, running around with neighborhood buddies and creating a vast array of childhood “adventures.” But deep down, I felt a little “different” from the other kids. I wasn’t different. I just felt different. Then my mother began dating a young Air Force pilot. I liked him. He was like a Dad to me. Then they married… and my step-father became my father: he adopted me as his son. My young mind easily embraced all of the changes. My new name was Donovan Pucik. I really liked that. I didn’t feel “different” anymore. I had a Dad and a Mom now. he chose to do it — he chose me. The baby born in Bethlehem was the Son of God. But God seeks others to become part of His family. He seeks you and me. When a person trusts in the Person and work of the Son (click here to learn what that means), God the Father adopts him or her into His family. For this believer in Christ, my true relationship with God is that of an adopted child… He chose me through the Christmas Revolution!